I’m Free Don’t grieve for me for now I’m free I’m following the path God laid for me. I took his hand when I heard him call I turned my back and left it all…..
Robert Eugene Shiveley, son of the late Henry and Maude (Redmon) Shiveley, was born March 12, 1926 and departed this life January 8, 2019 at the age of 92 years, 9 months and 27 days, at his home. He was united in marriage to the late Catherine L. Shiveley on April 12, 1947. 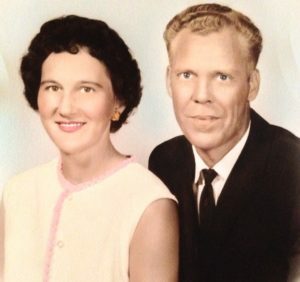 To this union was born four children: Donnie Shiveley, deceased, Carl (Linda) Shiveley of Florida, Joyce (Carl) Cox of Stout, Ohio and Beverly Cox of Manchester, Ohio; nine grandchildren; seven great grandchildren, and a great great granddaughter. He was preceded in death by six brothers and one sister. Robert was a member of the Germany Church and attended as long as his health permitted. Memorial donations may be made to SOMC Hospice,2201 25th Street, Portsmouth, Ohio 45662. The visitation is from 11 am until 1 pm Saturday, January 12, 2019 at Lafferty Funeral Home in West Union. The funeral will follow at 1 pm with Pastor Ricky Richmond officiating. Burial will be at Manchester Cemetery in Manchester. I loved to hear Brother Robert testify about what GOD has done in his life, no matter where he was . So sorry, Robert was a good man. I'm so sorry to hear of the passing of your loved one. Prayers. Prayer for the family. I will miss Robert. My prayers to family, hes went home! Grampa I love you! Let us all rejoice for you are with your Lady and the Lord for eternity! Thank you for loving me always! Your granddaughter Sherry Ann will love you forever and a day!